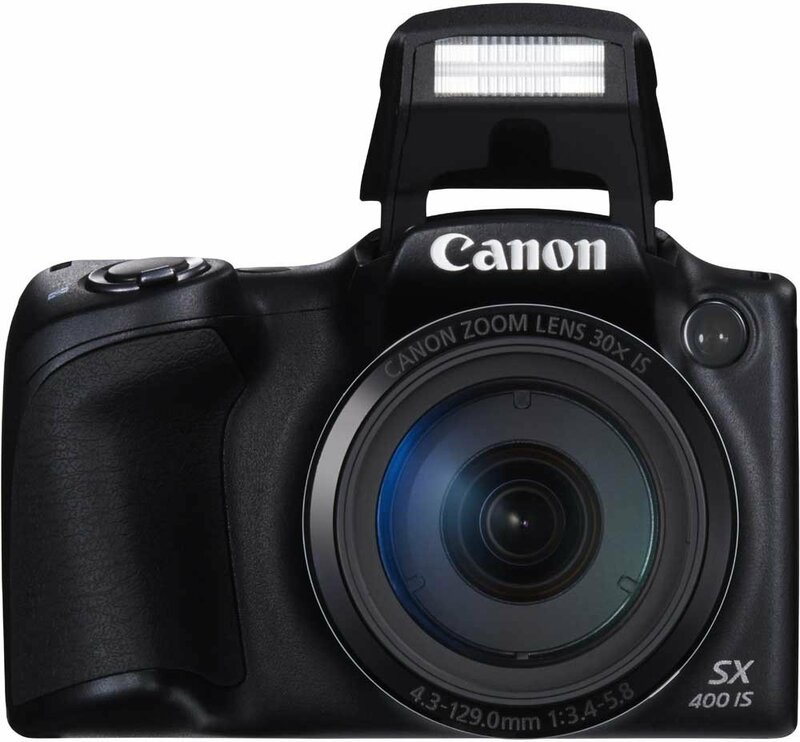 Explore your skills in photography using the Canon PowerShot SX400 IS Point & Shoot Camera. 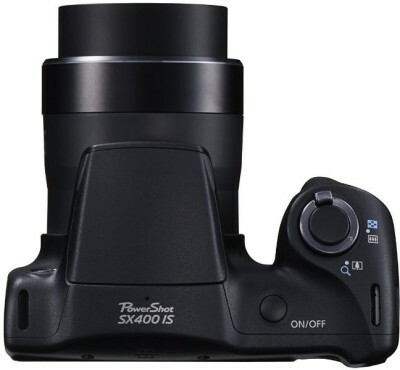 With 30x optical zoom and a 16 MP CCD sensor, the camera is ideal to experiment with and get some great shots. 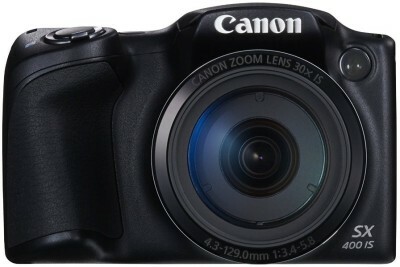 The Canon PowerShot features a 30x optical zoom that lest you capture objects at a far distance. The lens comes with intelligent image stabilization for steady shots. With an aperture range of f3.4 to f8 on wide and f6 to f8 on tele, the camera can take portraits and macros too. 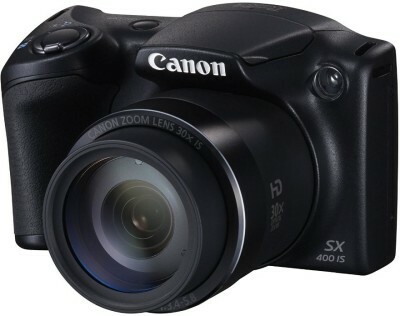 Built with a 16 megapixel CCD sensor, the PowerShot SX 400 is capable of capturing excellent quality pictures that can be enlarged. You can also record HD quality videos at 1280 x 720 resolution. Developed with DIGIC 4+ image processor, the device records and processes images at a faster rate allowing you to capture multiple images in a short span of time. In the P mode, the camera can capture up to 0.8 shots per second, while in the high-speed burst HQ mode it can capture up to 3.2 shots per second. Stability being given utmost priority, the Powershot SX400 features an optimized grip shape with improved ergonomics that allow you to hold the camera firm while clicking pictures and recording videos. 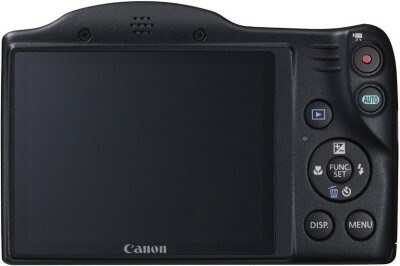 The camera comes with a 3 inch LCD screen that displays the preview, settings and captures images and videos. With 230,000 dots, the display delivers excellent quality output. A shutter speed range of 1 to 1/1600 sec and 15 to 1 sec makes this camera versatile for all lighting conditions. It comes with an ISO of 100 to 1600 for daylight and low light photography. The live view control, auto and other creative modes offered in this camera makes it convenient and easy to capture scenes perfectly. 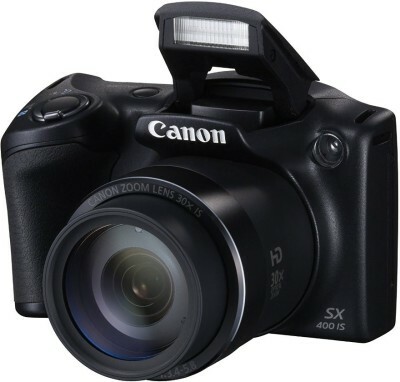 The SX400 is powered by an NB-11LH battery that can be recharged. Integrated with Eco mode, the device saves battery whenever possible so that you can use the camera for a longer duration. The built-in flash of this camera has a range of 50 cm to 5 m on wide and 1.4 m to 3 m on tele. The flash modes offered are auto, On, Off and slow synchro.